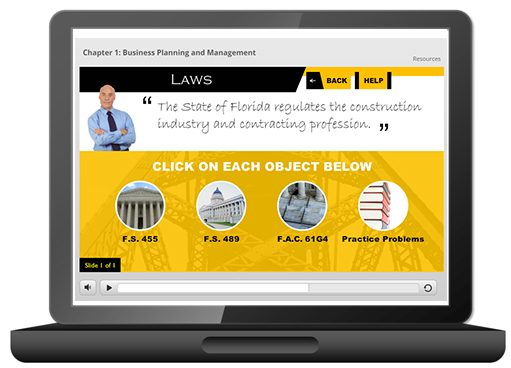 This self-paced, 2-hour course is divided into two, 1-hour sections. Section 1 provides information regarding mitigation methods and techniques. This information can be applied when completing the Uniform Mitigation Inspection Verification Form (OIR-B1 1802) (Rev. 1/12), which is outlined in Section 2. Upon completion of this course, the contractor should have a more thorough understanding of mitigation techniques and how to complete the most current version of the mitigation form.